My first Fashion Night Out was absolutely incredible! So many shops with different events, so much champagne, so little time, being in Britain of course there were lots of queues… and of course fashion fashion fashion! Leading up to Fashion Week that kicks off next Friday (wooohooo!!!! ), I’ll be sharing some little snaps I took on an amazing night out. The highlight of the evening was to look around the store of and meet the wonderful Matthew Williamson!!!! (I think I may have gushed just a *little* bit!) His dresses really are stunningly beautiful and there were so many dresses I loved – if I only could find the right occasion… will have to whisper in some of my guy friend’s ears to propose to their girlfriends… heheh). True model fashion style, they were serving the Brazilian drink VitaCoco! I’m not sure if still works for packaged coconut water, but in Brazil they say that drinking fresh coconut water helps you burn those calories, I love it so much I just think its too good to be true if it also helps to stay trim. Thank you so much! 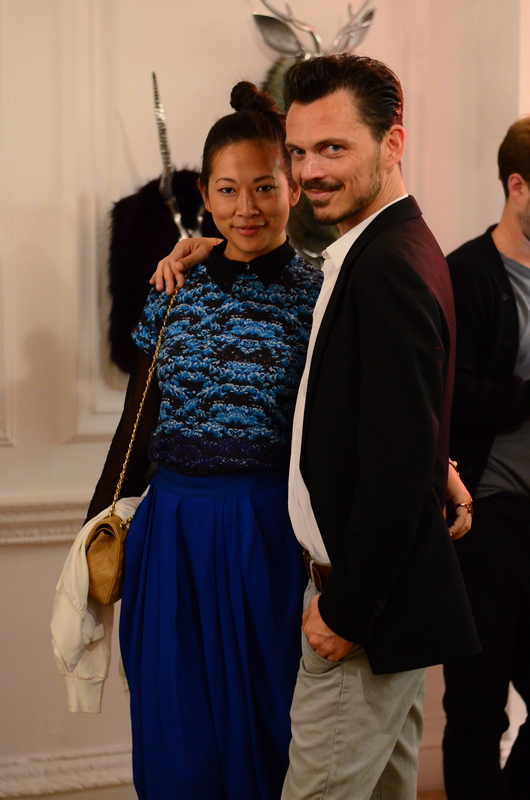 I absolutely LOVE Matthew Williamson, cannot believe I actually got to meet him! He was so lovely! I’m glad that he’s back to the beautiful floaty numbers, colourful prints and beautiful fabrics 🙂 Next time I’ll ask him who his muse is these days… hehe! Hang on…REWIND!!! When did you get a Chanel bag? Brilliant outfit! And the frocks at Matthew’s are so beautiful! The photo of you and ‘old friend Matthew’ is spectacular (nao parece tao bronzeado! ), hehe. Tehehe… got the Chanel a few weeks ago!